Now in 3D! 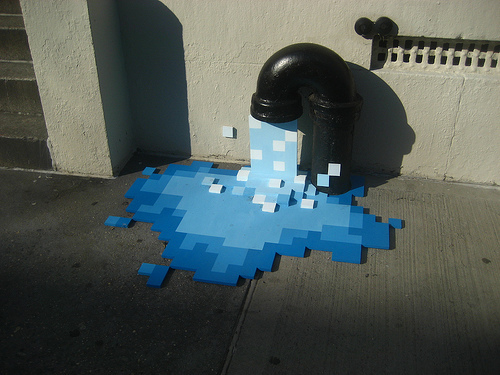 NYC’s secretly a video game, clearly evidenced by this leak in the matrix. We covered the first (to us) Pixel Pour back in 2008, and a reader has written in with these pictures of a new, more blocky version, photographed by Benjamin Norman. More photos after the jump.